If you have footage from your GoPro, security camera, or phone, you can speed up the video to emulate the a Time-lapse or Hyper-lapse effect. Time-lapse videos are fast-motion videos that demonstrate the passage of time, a creative process, or a transition from one place to the next. 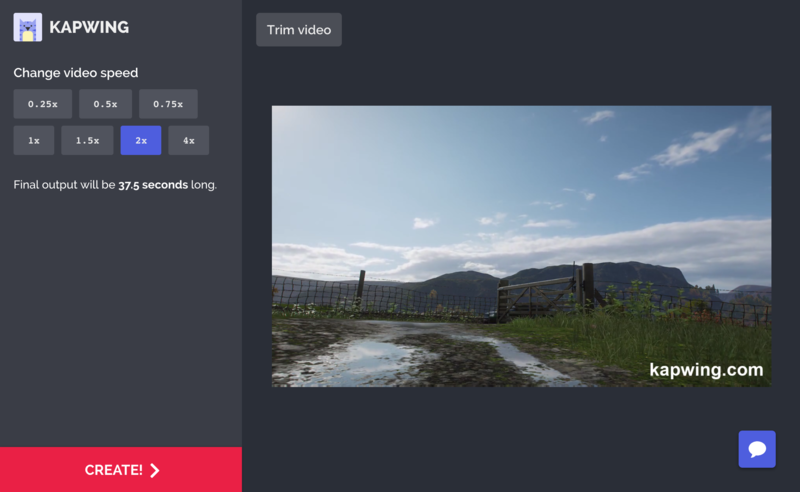 In this article, I’ll describe how you can speed up your video to make a time-lapse using a free online tool called Kapwing. 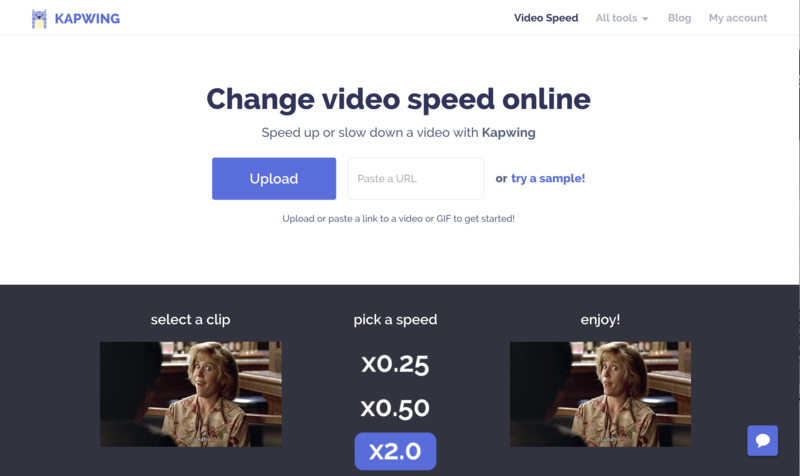 Open an online speed change tool like the Kapwing Speed Changer to increase the speed of your video. On Kapwing, you can upload the video from your computer/phone or you can import a video directly from Google Drive, YouTube, or Vimeo. After your video clip loads, use the speed buttons on the left panel to increase the tempo. On Kapwing, you can preview the updated video on the left to see what different speeds will look like. To make Time-Lapse, apply the 4x speed change to increase the speed as much as possible. The “Trim” button allows you to shorten the length of your video, if you want to choose a certain section to time lapse. Once your video has the right speed, click “Create!” to get your time-lapse video. Once your video has processed, you can download the MP4 to publish it on Instagram, Facebook, YouTube, or any other social media. You can also share it directly with friends. Time-Lapse videos are an amazing way to visualize the passage of time, a manufacturing process, or a transition in scenery. They should be filmed from a stable perspective, like a tripod or stable perch, to emphasize the movement of the subjects rather than the movement of the camera frame. Although most Time-Lapse cameras require you to speed up your footage as you film it, you can also apply a “hyper speed” effect retroactively with software like Kapwing. I hope this article makes it easier for you to speed up your videos for a Time-Lapse effect. Kapwing can be used with footage from your smartphone and other cameras and works online rather than requiring an app installation. Although Kapwing does have a maximum upload size (300 mb), it works well for shorter video clips optimized for YouTube or social media. I hope you enjoy! I have a series of photos and not video source files. It would be nice to be able to process them.